The Proteas (Proteaceae) are a large and ancient plant family with an impressive diversity of flower and form and an intriguing distribution pattern throughout mainly the Southern Hemisphere. Here Matthews has chosen a comprehensive selection of the best species and varieties, including a large number not previously seen in print. They are certain to inspire readers to grow them in their gardens where climate and soils are suitable. 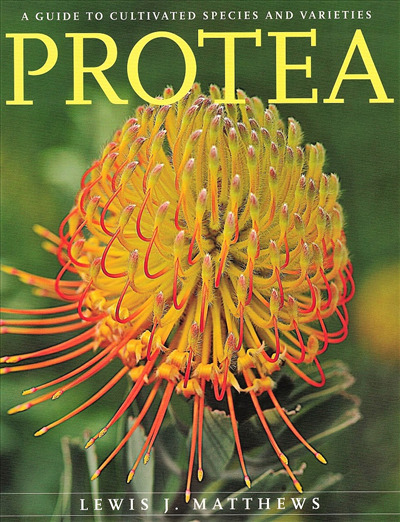 Chapters include advice on growing requirements, propagation, uses in garden situations, which ones to attract birds, cut-flower production...all facets of Protea are covered in this extensive guide.